Are you ready to embark on the most exciting journey of your life -- the one to your inner self? Do you ever wonder why you react a certain way, or why there are certain things you just don't understand about your life? 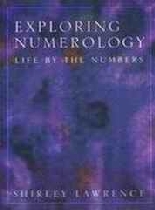 If so, Exploring Numerology is for you! Exploring Numerology not only gives you the keys you need to unlock your personal information, but you will also be able to unlock secrets for your friends and family. Shirley makes it a point to not only teach you how to use numerology but to uncover the answers as to why it works.